Often called as the “Father of Rocket Science”, Wernher von Braun made significant contributions to rocket science and space exploration in the 1930s-1970s. He was one of the principal scientists that developed the Saturn V rocket which took the Apollo 11 mission to the Moon in July 1969. Wernher von Braun was born on March 23 in 1912 into an aristocratic family in Wirsitz, Germany (now Wyrzysk, Poland), and was the middle child of three sons. Magnus Freiherr von Braun, his father, was a politician and held the title “Freiherr”, which is equivalent to that of a Baron. His mother, Emmy von Quistorp, descended from medieval European royalties and started his curiosity for knowing more about outer space. The family moved to Berlin when he was an infant and after Wernher’s confirmation in the Lutheran Church, he received a telescope as a gift from his mother and this began his love of astronomy. In 1924, aged 12, Wernher caused a large disruption in a crowded street by attaching and setting off fireworks on his toy wagon. He was a talented musician who played pieces by masters such as Bach and Beethoven from memory. Wernher enjoyed music, learning how to play both the piano and cello while he was young and though he originally wanted to be a composer, he was destined for greatness in another field. In 1925 Wernher attended a boarding school at Ettersburg Castle and during his early years there, he didn’t excel in mathematics or physics. Then he discovered the book “Die Rakete zu den Planetenräumen” (By Rocket into Interplanetary Space) and this book inspired him to hone his skills in mathematics and physics because space travel was something which had always fascinated him. His career can be divided into two main timelines; one where he worked for the Nazis, and the other when he was working for the United States. While working for the Nazis, von Braun became known as the leader of the “rocket team” who developed the V-2 missile used in World War II. Scholars still have discussions about his involvement in the manufacturing of these ballistic missiles which were supposedly products of forced labor in the factory known as Mittelwerk. The V-2 first flew in October of 1942. However, by late 1944, it became clear to von Braun that Germany could not defeat the Allied forces, so he made plans for his future after the war. Before the Allies captured their V-2 rocket complex, von Braun had surrendered along with 500 rocket scientists who had also been working on the project. He also surrendered test vehicles and plans for other rockets to the Americans. Despite his involvement with the losing side in World War II, von Braun along with the other rocket specialists had successful careers working for the United States government. In June 1945, he along with this other specialists, were transferred to America. He married Maria Luise von Quistorp in 1948 and they had two daughters and a son. Von Braun became a naturalized citizen of the United States in 1955. Von Braun worked with the United States army for 15 years for the country’s development of ballistic missiles. He was a major part of a military operation known as Project Paperclip, and along with other members of what used to be his “rocket team,” they worked in Fort Bliss, Texas. The rockets they built for the United States army were launched at the White Sands Proving Ground in New Mexico, and in 1950, this same team of rocket scientists moved to Alabama. In 1952 von Braun became technical director of the U.S. Army Ordnance Guided Missile Project at Redstone Arsenal, near Huntsville, Alabama and he developed the Redstone rocket, a large ballistic missile based on the German V-2 rocket. On 31 January 1958 the rocket development team lead by von Braun successfully launched the first American artificial earth satellite, Explorer I, using a modified Redstone rocket. In 1960 von Braun and his research team was transferred to the newly established National Aeronautics and Space Administration (NASA). With a mandate to create giant rockets, he became the director of the Marshall Space Flight Center of NASA, developing the Saturn V rocket that would take the Apollo 11 mission to the Moon in July 1969. In addition to being the brains behind the development of rockets which helped the Americans reach the Moon, he was also the leading spokesman of the United States for space exploration matters in the 1960s. NASA asked him to transfer to Washington, DC for logistical reasons in 1970. He did so, leaving his home in Alabama but his time in Washington was short-lived as he retired two years later in 1972. 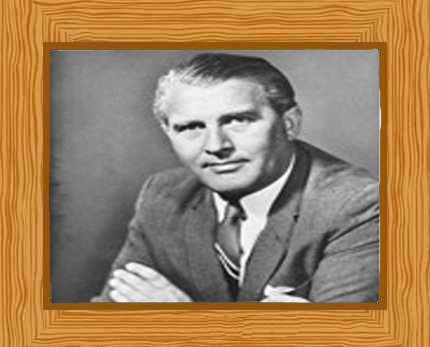 Von Braun spent his last years working for the aerospace company Fairchild Industries of Germantown, Maryland. In June 16, 1977 he died from kidney cancer, aged 65 in Alexandria, Virginia.